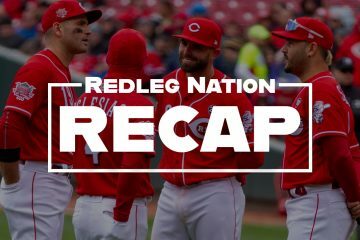 The Short Version: The Redlegs returned home and shut out the Arizona Diamondbacks behind a sterling performance from Anthony DeSclafani. –Outstanding work from Anthony DeSclafani: seven shutout innings, allowing just three hits, no walks, and he struck out nine. This is the Disco that we’ve been waiting to see, the guy that can be a (somewhat) top of the rotation talent. Just an awesome outing, and so great to see from a guy who has struggled with health. –Jose Peraza had a couple of hits and a run scored out of the leadoff spot. Tucker Barnhart had a double and scored a run. Billy Hamilton had a gorgeous bunt single and an RBI (more below). Joey Votto had a single and a walk. Eugenio Suarez drove in another run, his 88th of the season. –Jared Hughes and Raisel Iglesias each pitched a shutout inning. –I’m going to be honest with you. I had the game playing on the laptop next to me the entire night. But I had a livestream of a Phish concert playing on the television. So I was distracted. But the Reds won! Huzzah! –Glad to see our old buddy Zach Buchanan back at The Great American Ball Park this weekend. 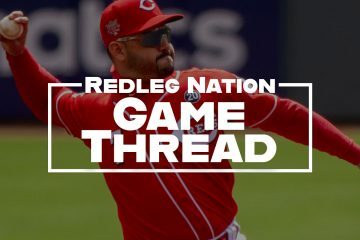 –I don’t think it’s an overstatement to say that DeSclafani’s health is as important to the Reds chances of being a competitive team in the near future as any other factor. When healthy, that guy can pitch. –Glad to see Votto back in the lineup and producing. His single tonight was the 1700th hit of his illustrious career. Only eight other players have ever collected that many while wearing a Cincinnati Reds uniform. –Peraza’s OBP is .326. The league average OBP is .319 this season. I don’t like Peraza as the leadoff hitter, but you have to admit that he’s making real progress. And he’s still young. Lots to like about this kid. –It was a scoreless game until the bottom of the sixth. Peraza singled and Votto singled him to third. Geno gave the Reds the lead with a sacrifice fly to left. One inning later, the Reds put up two more. With one out, Barnhart doubled into the left-center field gap and moved to third on a Disco single (not this one). Hamilton then laid down a beautiful bunt single, scoring Barnhart…and then D’backs starter Clay Buchholz threw the ball away, allowing DeSclafani to score. Reds 3, Diamondbacks 0. –Matt Harvey tomorrow night. 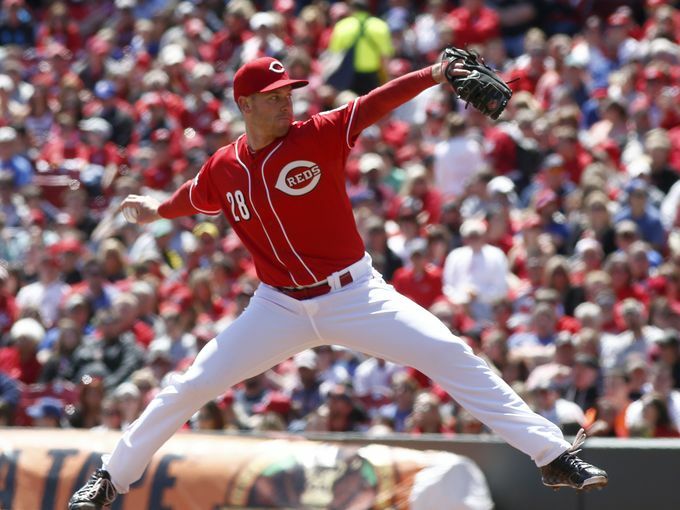 Will it be his last start with the Redlegs? Billy just laid down the bunt of his life. Sweet goodness, that was ??? Hughes entered tonight with a 2.33 ERA since the start of 2014. That is the 14th best among RP (there are 258 qualifiers). He is ahead of guys like Iglesias, Doolittle, Kelvin Herrera, Edwin Diaz, Rondon, Strop, Cody Allen, Osuna & Brad Hand. All in all, it was a good day. That’s all I got to say about that. Maybe he just likes phish better than disco. I know that I do. Lots of music I like better than disco. Looked like he called them tight both ways; and yet, there were only 2 walks combined in the entire game. Maybe if pitchers and catchers understand they aren’t are going to get the black it encourages them to quit nibbling and throw strikes. It’s too bad the Reds can’t play first place teams every day. They’d be 30 or 40 games over .500. Do the good teams sleep on the Reds or do the Reds spin up for the good teams? Maybe a little of both? DeSclafani was in total command tonight. What a please game to be at the ballpark and see. Yes. Disco and his health are a key to the Reds season next year. Yep. Nothing we can do but wait till next spring and hope he can cycle back up. If so it should make a huge difference. However I don’t believe the Reds should sit on their hands in the off season. As the old saying goes, a team can never have too much (especially starting) pitching. Plan for the worst. Deal from a position of strength in the spring if things turn out better. Oh. And they let Disco hit–not bunt with no reason. And it paid off. Disco Inferno. Burn baby burn. It’s now up to the front office to acquire a solid starting pitcher to go with DeSclafani, Castillo, Mahle and Sims to make the Reds competitive in 2019. Without injuries, the offense is there. no confidence this will happen. Top of the recap says we have been rechristened as the Mets! OOOOHHHHH NOOOOOOO!!!! Mr. Red is retrocool, Mr. Met is a zero dweeb, this can’t be true!! What were the Reds wearing their olive green pandering to the military unis last night? No, just changed their name to the Cincinnati Greens for one day in honor of kale. Since nobody, excepting Chad, said anything about BH–as often happens when he has a good game–I will. “Havoc” is disparaged here, but it was on display with the rushed throw by the pitcher which resulted in a second run scoring for the Greens. Just a really solid game against a good team and a good pitcher. Nice!